Driving in rain and wet road conditions is certainly different from when driving a car on dry roads. Limited visibility as well as slippery roads make you have to increase alertness and caution. In addition to the above, here are some important things that must be considered to improve safety and comfort when driving a car in the rain. Each tire is designed with different patterns and threads. The function of these patterns and threads is to make sure the tires run properly as they pass through wet or muddy roads. The more frequently used, the thickness of the pattern and the tire thread will be reduced. As a result, the tire will lose more grip and increasingly feels slippery especially when passing a wet road. So when entering the rainy season, it would be better to ensure thread and pattern on your car tires are still in good condition. Windshield windshield wipers have a function to sweep away dirt and rain water. Some cars also have wipers on the rear glass. If it is outdated, the rubber wiper car can also get brittle and not working properly. In fact it is not possible rubber brittle wipers will make the dust is not swept properly and it makes the car glass become scratched / scuffed. In addition to observing the condition of wiper rubber, it is better to pay attention to the movement and the wiper dynamo. Especially for cars that are old enough. Do not let the dynamo or wiper function can not be used when it rains when you are driving. To help increase visibility, as well as help other motorists see the position of the car you drive, turning on the headlights is certainly very helpful. If the rain is too heavy and the headlights are not very helpful, usually fog lamp will be more useful. Make sure both of these lights work well so you will not have trouble driving through the rain. The cruise control feature helps keep the car steady at the driver's level. Indeed, this feature will help the driver. But when it rains, this feature can actually be dangerous because it is prone to cause hydroplanning. When the cruise control feature is enabled, the car's computer can not read the condition when the road is too wet and there are puddles so it can be out of control. 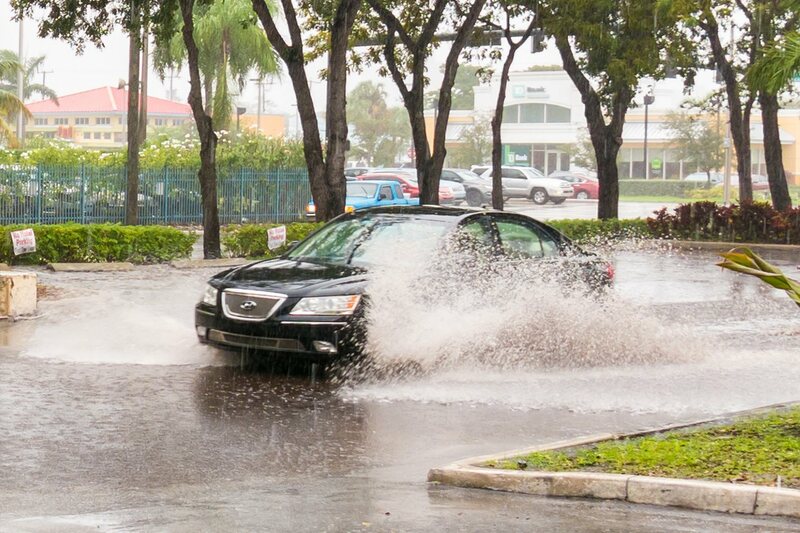 Therefore, it is better to drive the car with manual speed control when conditions rain or wet streets.